A Southeast Asian country engaging the parts of Malay Peninsula and Borneo Island. Malaysia famous for its rainforests & beaches. This Southeast Asian country is under the multicultural influence i.e. Malay, Chinese, Indian & Europeans. Home of the colonial buildings is the capital city of Kuala Lumpur. Bukit Bintang the main and busiest shopping district and iconic buildings like Petronas Twin Towers. Malacca situated on the western coast of Malaysian Peninsula, also known as former colonial port as Chinese-Malay Peranakan. Langkawi cannot be skipped as it is known for the beach resorts. George Town, the capital of Penang Island, home of temples and full of food stalls. Tioman, Redang and Perhentian Islands on the eastern coast of Malaysian Peninsula, famous for beach resorts, also diving and snorkeling. Tropical rainforest and diverse wildlife is the beauty of Malaysian Borneo also offering beautiful beaches, scuba diving off Spiadan Island. Kota Kinabalu, passage to Mound Kinabalu. Note: Please complete the following requirements before sending us your Malaysian Visa application. At least 3 months latest Attested Bank Statement with closing minimum balance of Rs. 100,000 or Travelers Cheques of Rs. 100,000. 1 Visa Application Form back to back printed (Dully filled-in & signed with by Applicant). Request Letter on company letter head or any other. 1 copies of conform booking Return Air thickets + Hotel Booking. Copy of NTN and Chamber Of Commerce Certificate required (If Business man). Visa reference is required for student, employment, diplomat and professional visit pass. 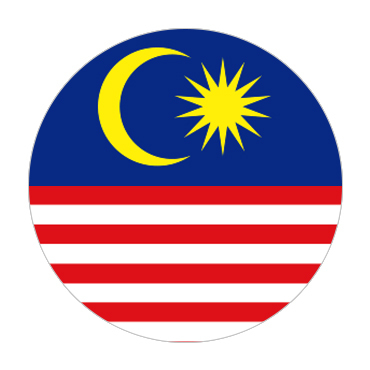 Malaysian immigration may can take more than standard time. Interview may be conducted if it is seemed necessary. Embassy reserved the right to ask for further documents, or to reject any visa application without assigning any reason. The visa fee and service charges are not refundable. In case of Delay /Rejection Destiny is not responsible. Please ensure that the documents you sending us are complete as per concerned embassy requirement. Your co-operation will make our service more efficient. If your questions were not addressed in FAQ's section, please feel free to ask anything you want. We would love to hear from you.